Some say the work/family balance is a myth or an unworthy goal, while others strive to achieve it every day. The key to balancing your job and your family is not to give all things equal attention, but to give each the attention they deserve. Many people struggling to feel balanced in life have trouble saying "no" to things. Get in the habit of kindly declining requests by turning down one task or invite every day. Even something as small as saying you can't go out to lunch because you want a shorter work day can help. For lots of adults, work duties come first because you need money to survive. The stress from your job often carries over to home too. Be present with your family and challenge yourself to say "yes" to seemingly mundane activities they ask you to join on a daily basis. For example, maybe you don't have the energy or desire to sword fight your toddler for the tenth time this week, but you aren't likely to regret doing it if you just say "yes." With busy lives and schedules it's easy to lose sight of priorities. 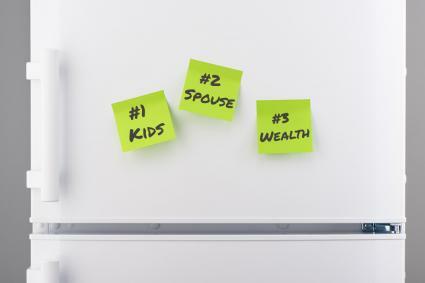 Keep tabs on yours by writing out an ordered list of what's most important to you. 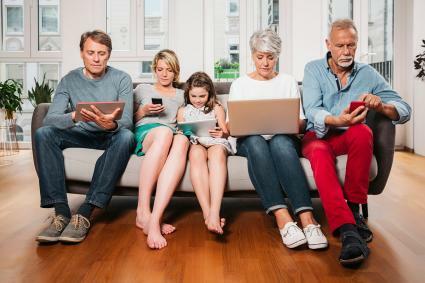 Is it your kids, your marriage, your lifestyle, your pet, or something else? Hang the list where you can see it every day as a reminder of what's truly the most valuable part of your life. Sign up for a meal delivery service. Toss or donate unnecessary items from one room each week. Keep kids confined to a few rooms after school to eliminate messes everywhere. Whether you use a wall calendar or virtual calendar to keep track of your life, color-coding with sticky notes, markers, or background colors can help you stay organized and get an honest look at your activities. Choose one color for work, one for each kid, one for date nights, one for activities with friends, and another for extended family gatherings. Stand back and look at an entire month or the whole year and see which colors are getting way too much time and which might not get any. Obviously work will take up a lot of time during the week, so consider about what percentage each color should be seen. Moving from work to home or home to work can be a tough mental transition. Create a ritual that helps you prepare for the next part of your day and let go of the last part as a way to be more present in everything you do. Recite your day at work out loud in the car on the drive home to get it out of your brain or take a moment to touch a tree in your yard and transfer your stress before stepping into the house. You can't take care of others well if you don't take care of yourself. Whether it's drinking your morning coffee while locked in your bedroom, taking a brief walk on your break at work, or taking a few minutes after work to read a book and relax, make it a priority to take moments throughout the day to refresh yourself. These mini stress relievers can give you the energy and disposition to get through any day with a good attitude. Work on your laptop at the dining room table next to the kids while they finish up homework. Read the morning news while your spouse catches up on sports highlights on his phone as you both sit closely on the couch. Set up a play space in each room of the house so kids can play near you while you clean each one. Use a blank checklist template to write down each part of your life that needs attention, like time with each child and your spouse or checking in on your aging mother. At the end of the week check off the things you did to see if your time was well shared. The goal in achieving life balance is to find the structure that makes you and your family happy. 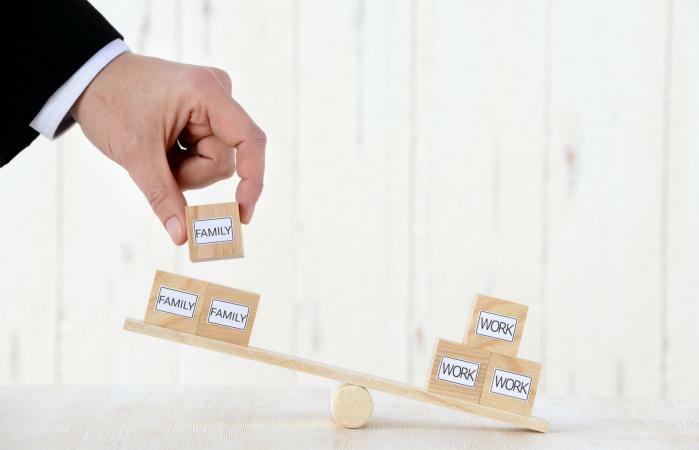 Stressing about trying to create a solid work/family balance will only make the task more difficult. Trying simple new ways to create the right balance for you and your situation can help make each day more fulfilling.